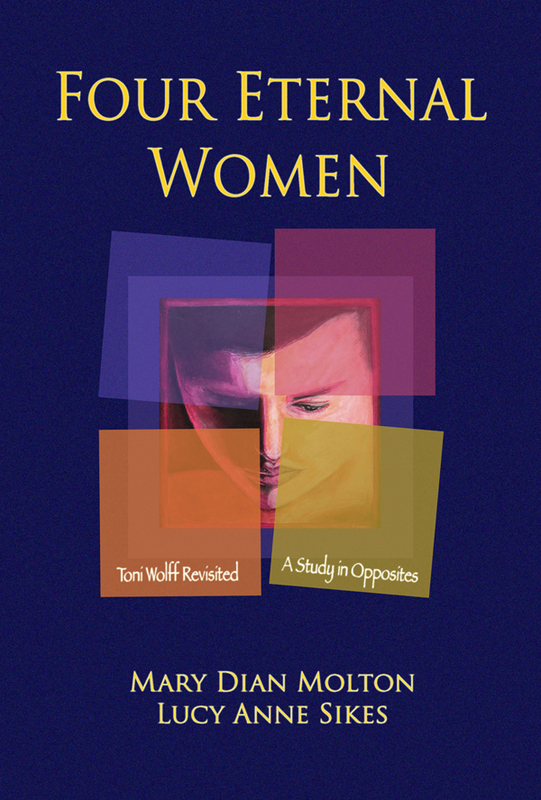 Isn’t it time for some serious work on Toni Wolff? Toni Wolff was at first the patient, and later the friend, mistress for a time, long-term colleague and personal analyst of Swiss Psychiatrist Carl Jung. In addition to her work as the founder, leader and teacher for the Psychological Society in Zurich which led to the establishment of the world-renowned C.G. Jung Institute in Zurich/Kusnacht, she published a seminal but little known work called “Structural Forms of the Feminine Psyche” (“Der Psychologie”, Berne, 1951). This treatise, certainly one of the first studies in Analytical Psychology, has been the subject of the authors’ investigation, attention, research and study for the past twelve years. Toni Wolff’s original outline of her four archetypes barely filled fifteen pages of the journal, and was written in the academic style of professional journals of that period, sans illustration or commentary. The tension of the opposites set up by Wolff’s own diagrammatic representation of these archetypes provided an additional dynamic to this study. Those who have followed Jung’s individuation path will recognize aspects of Jung’s Transcendent Function. 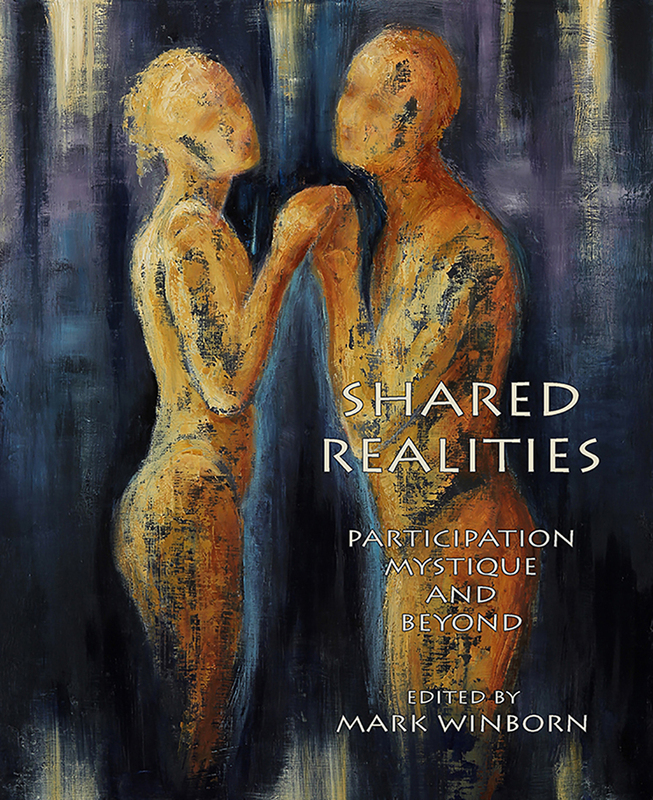 All readers may well become personally sensitized to discover their own type preferences, and how some aspects of shadow may be present in their ‘opposite’ partner. Lucy Anne Sikes, MS, ARNP, is a Senior Diplomate Jungian Analyst and is an Advanced Registered Nurse Practitioner. She is in private practice of Analysis and Psychotherapy in Prairie Village, Kansas, close to Overland Park, Kansas and Kansas City, Missouri. She currently serves as a lecturer in Jungian Theory and Practice and is past Coordinator for the Kansas City - St Louis Training Seminar of the InterRegional Society of Jungian Analysts. After her retirement in 1983 from a full career as an educator and later an executive for the Public Broadcasting System, Mary Dian Molton began her Jungian studies and took an advanced degree in clinical social work. She has studied at the C.G. Jung Institute in Zurich, has trained extensively in psychodrama, and has worked as a Jungian psychotherapist since 1987. She also holds a BFA in Fine Arts, and an MS Ed. with a specialization in Secondary Theater Education. For several years she wrote, produced and chaired a weekly television series which showcased creative teaching. For two millennia throughout all Christendom the image of the Blessed Virgin Mary has been adored. From the lofty world’s cathedrals to the smallest Christmas crèche that adorns a humble family dwelling her representation is present. Anthems are sung to her, voices are raised to praise her name, her very being. And yet standing back with some reflection, are we consciously aware of a deeper, more significant meaning of Mary? In re-imagining Mary, may we broaden our understanding of the profound psychological value her image holds for us. I was once again in the cave of Lascaux filled with wonderment while viewing the paintings of wild animals on the walls and ceiling. Directly in front of me on the cave wall I begin to see a bare outline of a figure as if scratched into the wall. And then the outline became emboldened in black charcoal as if painted by unseen hands. While I continued to look with amazement, the figure began to take on more definition and color. I then realized I was viewing the image of the Virgin Mary… there on the wall of a most primordial setting. I awoke from the dream with a start. As my conscious mind was reviewing the detail, the image of Mary created more than a little discomfort within me. I realized I had envisioned, in symbolic form, the archetypal aspects of the divine feminine nature. There in the earth’s womb-cave, ever so deep and dark in the realm of the collective unconscious, was the image of the Great Mother, which we most often in our Christian culture depict in our mind’s eye as the blessed Mother of Christ. We continue to look upon her image to understand her meaning in our modern day life, aspects of the feminine in our own psychologies. Through the centuries the idealization of the blessed Virgin perhaps has inspired more masterpieces of art and great architecture than any living figure, as author Mariann Burke beautifully explores in the following pages. We see her as the youthful, blissful and serene Madonna, her adoring gaze on her infant child. Her slender fingers caress the child, as her long, slim neck turns gracefully arching downward. Or we see her as the Mater Dolorosa, the Pieta, her face wracked with pain and anguish or with a far away gaze of contemplative surrender. We also know her from myths and works of art as the Queen of Heaven seated on her throne or standing on the crescent moon with the milk flowing freely from her breast forming the Milky Way. We know of the lofty cathedrals painstakingly crafted throughout centuries that were erected in her honor and which bear her name. There is no question that her image has inspired artisans throughout all Christendom as did her image evoke prayers and supplications from kings and peasants alike. In our Christian mythology it is Mary’s image that may be experienced as the archetypal mother goddess, the good breast, comforting and nurturing. Our ancestors had already expressed in their paintings praising Nature, as the caves of Lascaux demonstrate, this longing for union of matter and spirit. However, these primitive paintings today are becoming endangered, if not destroyed, by the presence by a pernicious fungus obscuring or even obliterating them. We, too, in our present day culture have all but lost the true image of Mary. It has become obscure to us through insidious means. Through patriarchal edicts Mary has been relegated to the adoring or grieving mother, the mother who was declared a virgin, meaning asexual. We often take her story literally, and ignore the symbolic, the psychological realm. She has been relegated to less than the whole of the Great Mother archetype, the feminine reflection that is sensuous and fertile, an icon of woman who is earthy and who is one-in-herself. As author and analyst Mariann Burke wisely guides us and reawakens us to a renewed vision of Mary, we consciously begin to understand the extent of what her image embodies." Nancy Qualls-Corbett, author of The Sacred Prostitute and Awakening Woman. 1. C.G. Jung. Collected Works, Vol. 9 I, par. 195-197. 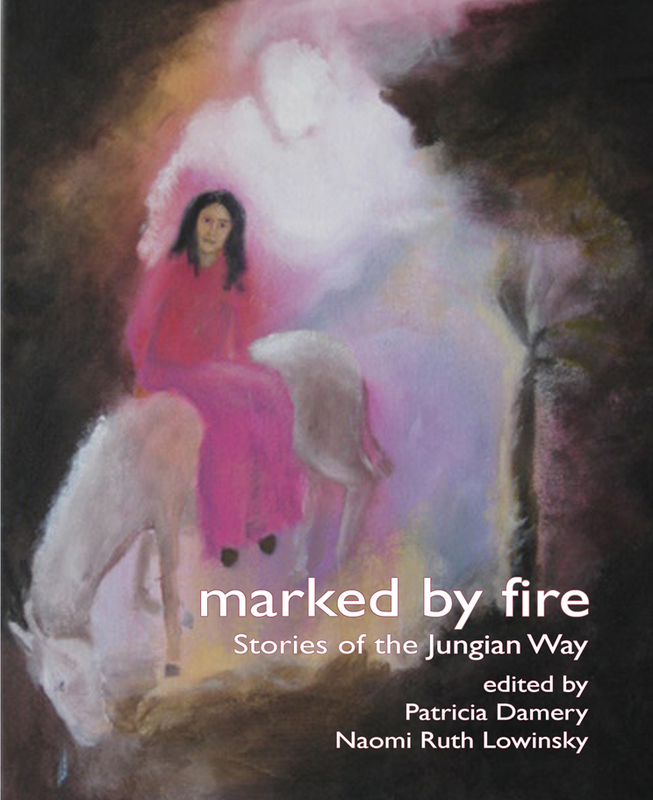 To learn more about Re-Imagining Mary and many other Jungian publications visit www.fisherkingpress.com. You might also enjoy reading our on-line newsletter, The Fisher King Review. 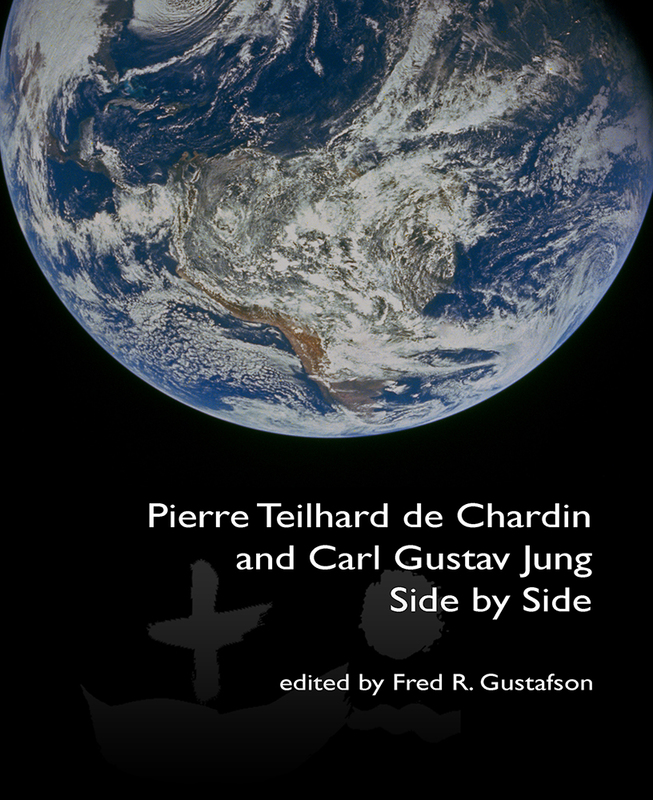 With great pleasure, Fisher King Press is pleased to introduce another new Jungian title . . . 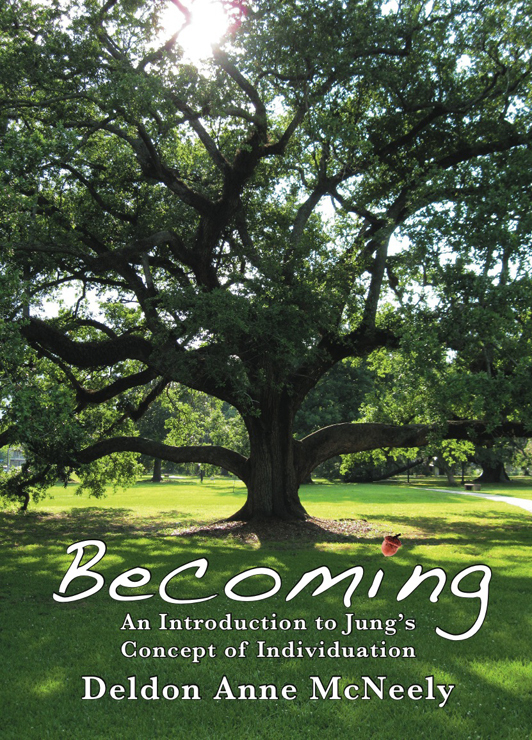 Becoming: An Introduction to Jung's Concept of Individuation reflects my hope to leave my grandchildren and others of their generation an understanding of the ideas of Carl Gustav Jung. His idea of a process called individuation has sustained my dedication to my lifelong work of psychoanalysis, and it saddens me that the principles that guided me have been dismissed by the current trends in psychology and psychiatry. We psychotherapists know the value of Jung’s approach through clinical results, that is, watching people enlarge their consciousness and change their attitudes and behavior, transforming their suffering into psychological well-being. Psychology’s fascination with behavioral techniques, made necessary by financial concerns and promoted by insurance companies and pharmaceutical companies, has changed the nature of psychotherapy and has attempted to dismiss the wisdom of Jung and other pioneers of the territory of the unconscious mind. We psychoanalysts have played a part in the loss by not transmitting our message clearly. For a combination of unfortunate circumstances, many of the younger generation, including college and medical students, are deprived of fully understanding their own minds. Those with a scientific bent are sometimes turned away from self-reflection by the suggestion that unconscious processes are metaphysical mumbo-jumbo. 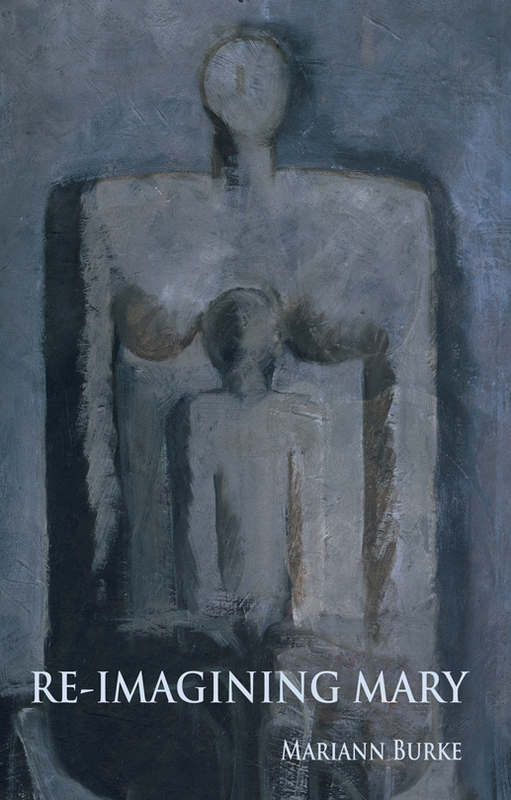 Superficial assessments of Jung have led to the incorrect conclusion that one must be a spiritual seeker, or religious, in order to follow Jung’s ideas about personality. I would like to correct that impression. Some university professors tell me that they are not allowed to teach Jungian psychology. Secular humanism and positivism have shaped the academic worldview; therefore, investigation into the unknown or unfamiliar dimensions of human experience is not valued. But this attitude contrasts with the positive reputation Jung enjoys among therapists, artists of all types, and philosophers. Those without resistance to the unconscious because of their creativity, open-mindedness, or personal disposition are more likely to receive Jung’s explorations without prejudice or ideological resistance. There is a lively conversation going on about Jung’s ideas in journals and conferences among diverse groups of thinkers which does not reach mainstream psychology. Becoming is for those whose minds are receptive to the unknown, and I hope it will help some of us to think—more with respect than dread—of the possibility that we act unconsciously. In organizing Becoming, I wanted to prepare for understanding “individuation” by identifying the historical and philosophical contexts in which Jung was situated, and then addressing the question of where this approach fits with the cultural issues of today. If we were reading this as a play, Part I would set the stage and introduce the main characters. Part II describes the action of individuation as it presents itself on the current cultural stage. Part III is like director’s notes for those who have curiosity for more discussion; it amplifies the basic ideas in each chapter and is called “Lagniappe.” This term, common in Louisiana, means you will get a little something extra, like a thirteenth donut when buying a dozen. It is not necessary to read Part III in order to understand why I find the concept of individuation important for each of us, but it is a little something extra that some may enjoy. Part 3 LAGNIAPPE . . .
Deldon Anne McNeely received her Ph.D. in Clinical Psychology from Louisiana State University and is a member of the International Association for Analytical Psychology. A senior analyst of the Inter-Regional Society of Jungian Analysts, she is a training analyst for their New Orleans Jungian Seminar. Publications include Touching: Body Therapy and Depth Psychology; Animus Aeternus: Exploring the Inner Masculine; and Mercury Rising: Women, Evil, and the Trickster Gods. Fisher King Press titles are available to the general public. Phone orders welcomed, Credit Cards accepted. +1-831-238-7799. the palm of my right hand. I cry for a pittance to sustain me. The poets cry for more. I am in a very elegant house. It’s my house, and I’m having a party. Everyone “who’s-who” is there. Suddenly a bitchy old woman comes down the stairs, tells me that the house is hers, I have only rented it, and I have to leave. It is very embarrassing, I’m being thrown out, from what I thought was my house. Out there in the street I meet a beggar. He is homeless, crazy, doesn’t really know how to speak, and doesn’t know who he is – he is without identity. It’s frightening. As a negative of our ego-ideal and the socially adjusted persona, the shadowy image of the beggar abides in our soul, as if without identity. Without a persona, there can be no pretension—which comes from Latin’s praetendere, to extend in front. We need to ‘extend in front’ of ourselves, to reach out and forwards. Thereby, some degree of falseness and pretension are inevitable and undeniable. In contrast to the persona, the beggar “huddle[s] in the shadows,” and unmasks those who come his way,(2) that is, everyone who ventures far away from the royal court of unquestioned convictions. 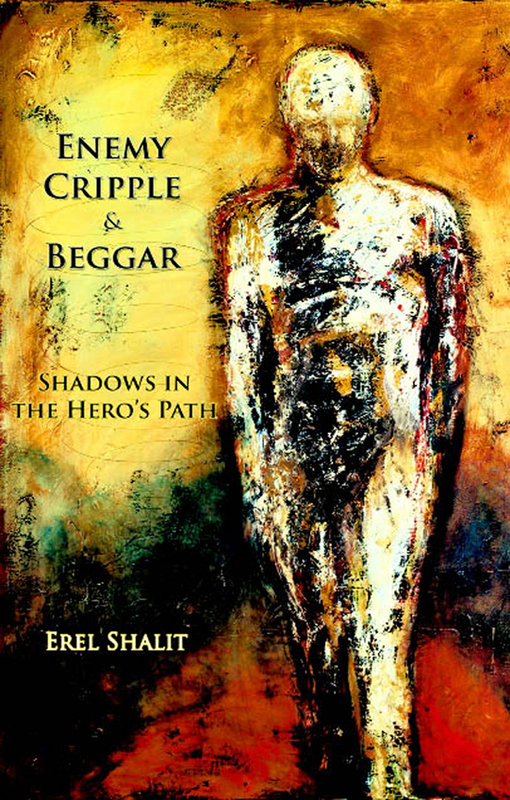 Without the protection of a social façade, the image of the beggar expresses the Inner Voice or the Daemon. The beggar becomes the genuine persona, that is, he is an image of the means by which the Voice comes across; persona, per sonare, by means of voice. But since he lacks the appearance of an external persona, he is not easily seen and attended to, but must be heard and listened to, for us to grasp the meaning of his words. (4) In Dr. D’s dream (page 176), he attends to the voice of the old, shabby, hardly visible, wise man. The image of the beggar entails a reversal of our attitude in consciousness. We may believe that we give him something, that we may contribute to his welfare. But the essence of his being is that he holds something for us to receive. He may hold in his hand, and whisper through his mouth, a wisdom free from conventional ethics, transcending our conscious distinction of good and evil. (4) Beyond the blushing face of shame, the beggar’s hand is full of emptiness—he holds nothing in his hand. and all that yet will happen. and from the depths within me. because I have not died. I am walking with a group of people in a field. It is rather dark. It is like walking along a wadi [dry river valley] at the slopes of a gray mountain. From somewhere high up I hear a voice telling me – and it seems he is calling just me – I have to get up on top of the mountain and read prayers from a book. I then stand on a cliff high up on the mountain, with the man who had called me. He doesn’t look like the kind of prophet you would imagine – or perhaps you would! He is very unimpressive, small, ugly, hunchback, disgusting! No, sorry, not disgusting, but you’d hardly notice him, or, rather, if you met him in real life, one would try to avoid him, like those poor sick beggars you see more and more in the city. He just hands me the book. Looks like a bunch of old papers. The prayers are a combination of Jewish and alchemical texts or prayers. I have to do this, supposedly because I am accused of some crime, possibly having assassinated someone. But before climbing higher on up the mountain, I go into a cave, supposedly my cave, where there are lots of wine glasses, kind of grails, some in glass, others in metals, that I have to serve to people, though I don’t really see the people; they will arrive later. The wine glasses are placed on an old wooden table, and the tin cups on an even more antique wooden table. Everything is semi-dark. I don’t know what kind of mixture or drink is in the glasses, especially in the tin cups – probably some alchemical tincture – just joking! But it has that kind of flavor, so I guess I have to accept that! Then the man, the beggar/prophet or whatever, his daughter comes running. She has been running very quickly, and I meet her at the entrance of the cave as I am on my way to depart to ascend the mountain. She is clearly taken by her long and quick run, breathes visibly, tells me that the whole accusation against me is a mistake. I feel relieved. I know that you [the analyst] won’t die from me leaving, even if you’ll be somewhat sad, just like I will be as well, but I still know that I have to carry out the task, even if you can’t help me any further, and I must go ahead and do it alone. This man knew he had further work to do, but also felt that there always would be, and at some stage he needed to take it on himself. The need of a soulful attitude in this man’s further undertakings was unmistakable. His tendency not to remain serious, but to dismiss the hard work by joke and avoidance, had been prominent. A sense of lack of meaning in life had been the reason to come for analysis. 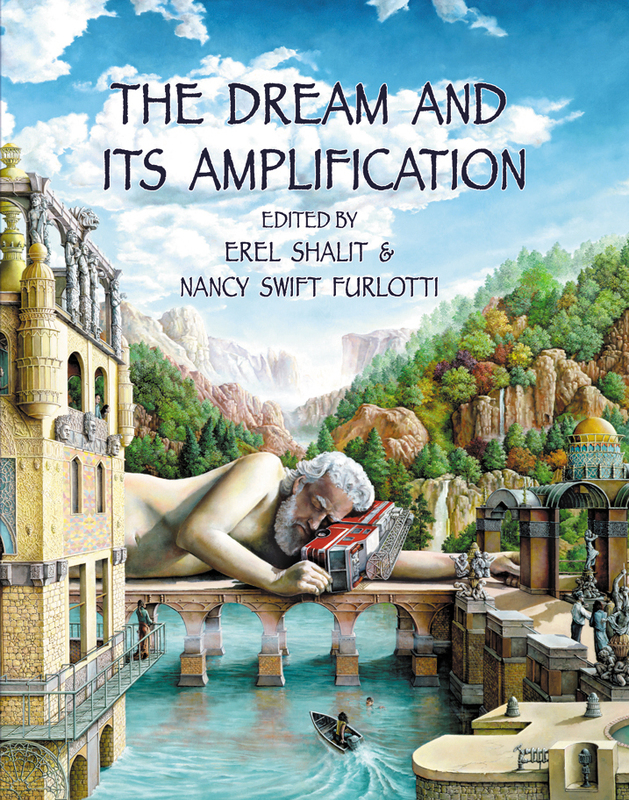 In his associations to the dream he said he had come to understand there were “layers of meaning” to “that Jungian stuff and all that alchemy,” using “alchemy” as a code word for his ambivalence to the process, but thereby for its potency as well. The word alchemy had most likely not been mentioned during the years of analysis, but the meaning of the word warrants a brief comment: as is well known, Jung concluded that the alchemical process reflects the soul’s transformative journey through the shadow to the Self, from base metal to refined gold. There are various assumptions as to the etymological origin of the word alchemy. One possible origin is from the Greek chumeia, to pour together, to cast together, clearly reflecting the process of bringing seemingly opposite elements together. In this sense, alchemy replicates the process of the Self; symbolos, symbol-formation as a healing process that brings the opposites together (syn- together, ballein- to throw)—in contrast to the consciousness-raising process of diabolos (to throw apart). Another possible origin is from the Arabic al-khimiya, where Khemia was an ancient name for Egypt, meaning ‘the land of the black earth,’ because of the mud that brought fertility to the land of the Nile. Most transformative activity in the alchemical laboratory of therapy and analysis probably takes place in the land of the black earth, the shadowy matter of the process. Gershom Scholem writes, “Even more remarkable is the derivation of the word kimiya (chemistry) from the Hebrew, which carried over from Arabic sources.” He quotes several older Arabic and Jewish sources, and says, “The word for chemistry comes from ki miya,”(7) i.e., alchemy would mean for it is of God. It seems we might need to hear the voice of all three possible etymologies in order to appreciate the journey of the soul. 1.Selected Poems, Translated by Albert Ernest Flemming, p. 78. 6. James Hillman, Archetypal Psychology: A Brief Account, pp. 6-10; Andrew Samuels, Jung and the Post-Jungians, p. 244. 7. Gershom Scholem, Alchemy and Kabbalah, p. 16f.